What remote PC interfaces are available? 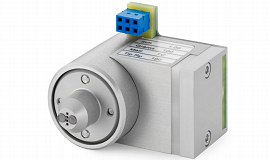 The standard remote interface is the RS232 serial communication. A USB converter can also be used. What are the minimum remote PC requirements? The system accuracy of 0.5% is based on a test result with a precision network resistor. 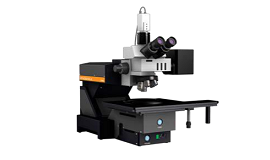 Actual measurement accuracy depends on various factors including environment, contacting condition and probe head, wafer surface, etc. For example, typical accuracy may include additional tolerances for probe wear-out and repeatability. What is the xyz position resolution? What automatic mapping series should I use? Why use AIT automatic Mapping probes? CMT automatic mapping series are fully automatic systems to measure sheet resistance and resistivity with PC remote control or in manual mode. How do I convert from ohms per square to ohms-centimeter? The term Ohms.cm (Ohms centimeter) refers to the measurement of the “bulk” or “volume” resistivity of a semi-conductive material. Ohms.cm is used for measuring the conductivity of a three dimensional material such as a silicon ingot or a thick layer of a material. The term “Ohms-per- square” is used when measuring sheet resistance, i.e., the resistance value of a thin layer of a semi-conductive material. The equations for calculating bulk resistivity are different from those used to calculate sheet resistance, however, if the sheet resistance is known, bulk resistivity can be calculated by multiplying the sheet resistance in Ohms-per- square by the thickness of the material in centimeters. 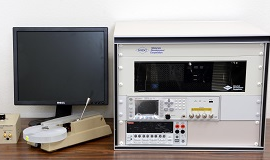 The unit of measurement when measuring the bulk or volume resistivity of thick or homogeneous materials such as bare silicon wafers or silicon ingots, using the four point probe technique. What are ‘ohms per square’? The unit of measurement when measuring the resistance of a thin film of a material using the four point probe technique. It is equal to the resistance between two electrodes on opposite sides of a theoretical square. The size of the square is unimportant and so strictly the measurement is in ohms, however ohms/square distinguishes measurement of a thin sheet from measurement of, for instance, a wire. Which characteristics should I use? The characteristics needed vary depending on the material being probed. If you contact us we may be able to advise the best characteristics for your samples from past experience. Alternatively, once an order is placed, you have the option of sending us a typical sample of the material you wish to probe and we will test it so that you can be sure to receive the best characteristics for your application. What model of probe should I use? The best probehead for you depends entirely on your application and what equipment you are using.Contact us with details of the probe you have now and we will let you know the best probe for you. Alternatively, if you wish to make a custom set up, we can help you to identify which probe will work best. Jandel Probes offer the accuracy and perfection of more than 30 years experience. 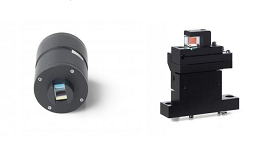 Tip radii and probe spacings are checked by interferometer and video inspection for certainty of accuracy. Spring loadings are checked by electronic force gauge. What user support tools are available? A comprehensive on-screen HELP function provides specific program information about all program functions, measurement suggestions, technical information, and references. What installation assistance is provided? The system is delivered with a complete set of manuals and software. – Utilities for system parameters and system operation. 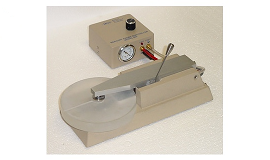 A mercury probe can be safely used in the usual laboratory or production environment. Platform measurements confirmed less than standard Mercury concentration of 0.05mg/m3. Areas surrounding the Mercury storage containers may be higher than standard Mercury concentration so good ventilation is recommended for storage and replacement. Why use a Mercury Probe? SiC, GaAs, 2DEG, GaN, InP, CdS, InSb, etc. To substitute alternative methods which take several hours and require detailed metallization. Resistance can be measured on thin films composed of any material that does not react with mercury. Metals, semiconductors, oxides, and chemical coatings may be measured successfully. For MOS devices a darkbox is available to prevent light interference. – programs to setup and zero the cap meter. – utilities to choose system parameters like default temp, and material parameters. – utilities for checking system operation. How are the Hardware and Software configurations determined? Depending on characterization needs various combinations with Keysight Technologies or Keithley equipment as well as MDC probes and software can be configured to custom specifications. 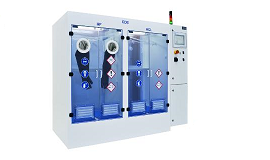 What functions are available with the MDC C-V and I-V configurations? MOS production C-V measurements with or w/o bias-temperature stress with correction of series resistance effects. MOS ENGINEERING TESTS: MOS C-V and Conductance-Voltage plotting. Advanced features such as theoretical MOS C-V curve generation and Dit computation. Capacitance-Time measurements to determine substrate lifetime with Zerbst analysis. Doping profiling of sub-oxide regions. Thin oxide analysis using the Ricco method. Additional analyses: quantum effects and polysilicon depletion. JUNCTION TESTS: special adaptive C-V data gathering and analyses for doping and resistivity profiles as well as junction series resistance and built-in potential. On screen utilities to average doping and resistivity profiles. VARIABLE FREQUENCY MOS C-V TESTS: to measure MOS device capacitance and conductance as a function of frequency and perform associated analyses to plots Interface Trap Density versus bandgap position using the Conductance-Frequency technique. MULTIPLE FREQUENCY C-V TESTS: additional software to measure and plot a family of C-V and G-V curves as a function of measurement frequency. QUASI-STATIC / Dit TEST: automatic data gathering of quasi-static or high frequency C-V plots and associated analyses to plot interface trap density. Analyses including quantum effects and polysilicon depletion. GOI TESTS (hardware dependent): additional software to measure gate oxide integrity using forced, ramped, or pulsed voltage and current sources. Data presentation histograms, TDDB plots, Weibull plots. I-V TESTS: additional software to measure & plot current voltage characteristics of junction and MIS structures and oxide breakdown tests. 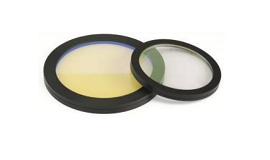 THIN OXIDE PROGRAMS: measure and analyze thin oxides. Frequency-Shifting data gathering allows accurate measurement of thin oxide C-V plots in the presence of leakage. The CVC Analysis functions analyze and model C-V plots affected by quantum effects and polysilicon depletion effects. Why use C-V or I-V Systems? The MDC C-V and I-V systems provide comprehensive coverage of C-V and / or I-V characterizations through a variety of probes, test equipment and PC software control (CSM/Win).